Theatre - Click on an image to see a bigger picture. Oliver! New Theatre St Martins Lane London. From June 30th 1960. Tony started as one of the workhouse boys / Fagins gang but took over as the Artful Dodger. 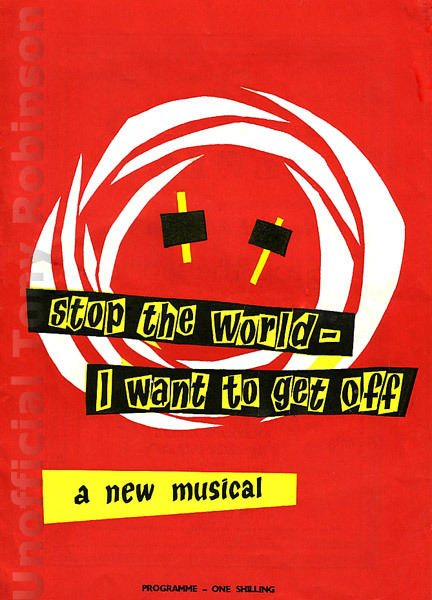 Stop the world I want to get off - first performance Thursday 20th July 1961. 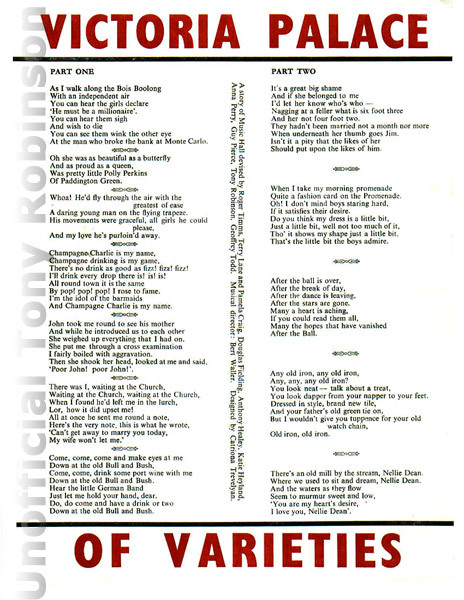 Tony played Jimmy, credited in programme as singing: I wanna be a Beatnik like me Bruvver. 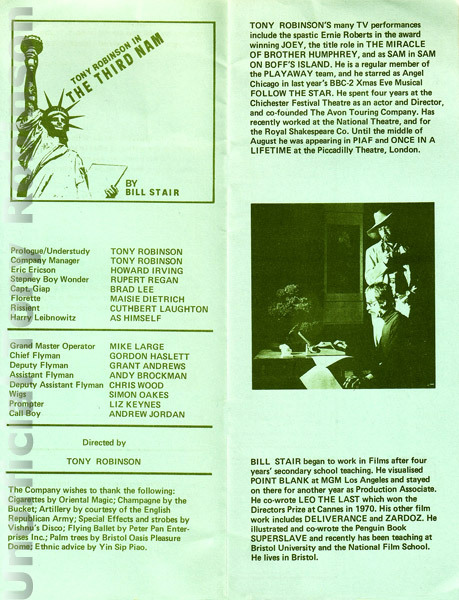 Tony played Monsieur Orgon, a rich merchant. 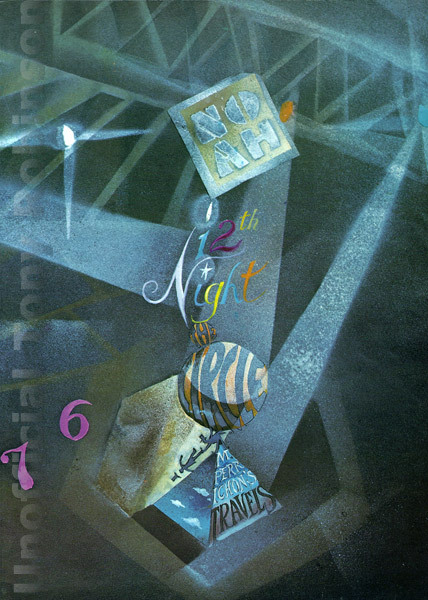 A story of Music Hall by Roger Timms. Victoria Theatre Stoke on Trent 1967. 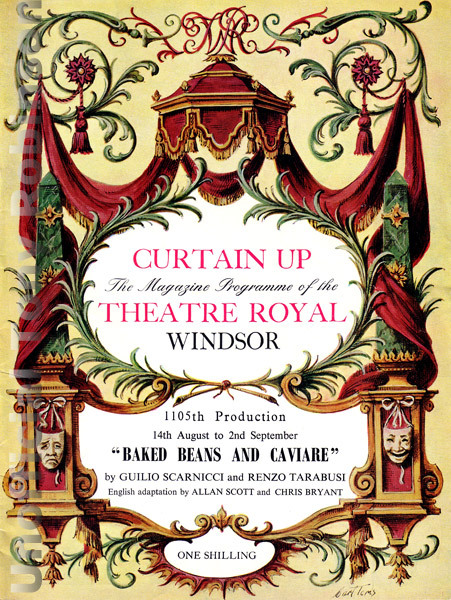 Tony Robinson, who celebrated his twenty-first birthday the day after Baked Beans and Caviare opened, started his stage career at twelve when he appeared in the original production of Oliver. 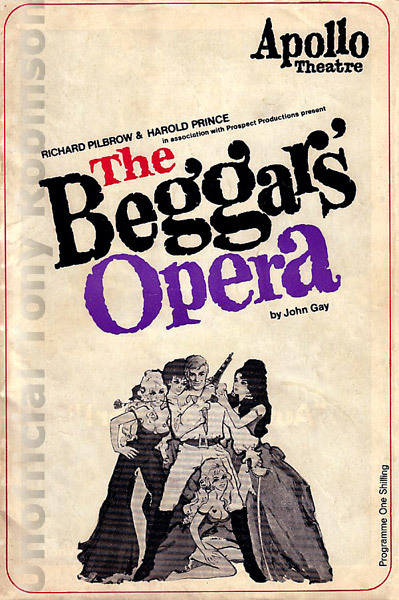 One Tuesday afternoon about three weeks after the musical had opened the boy playing the artful dodger forgot all about the matinee and just didnt turn up. 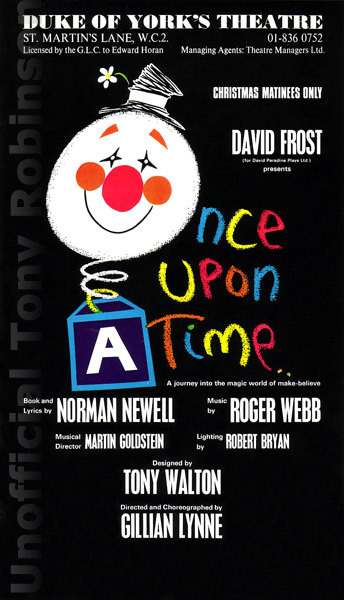 Tony, who knew the songs but not the dialogue, was nevertheless thrust on to the stage, mumbled through the words, happily belted out the songs, was given cues madly by other members of the company and managed to get through the show. 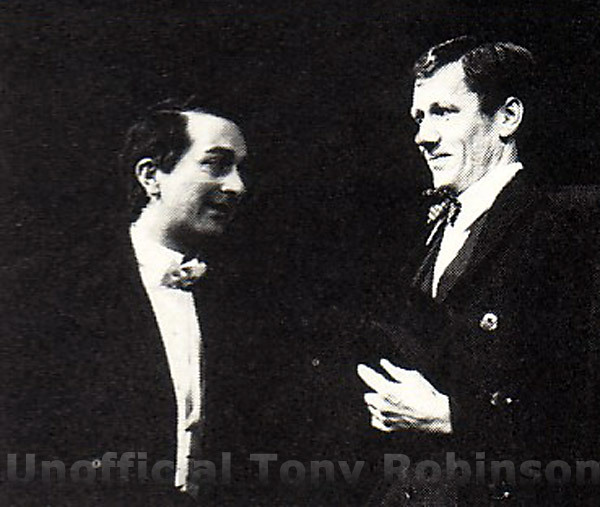 And when the boy playing the role left, Tony took over the part of the Artful Dodger and became a West End star at a very tender age indeed. 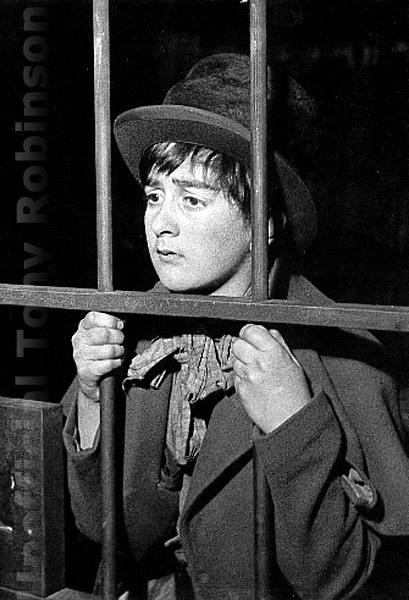 Tony Robinson (Newsboy.) 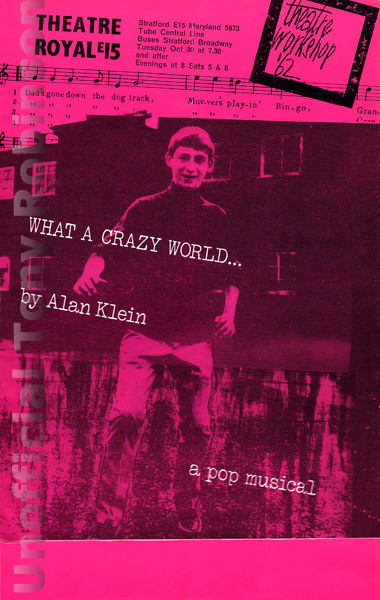 As a child actor, Tony Robinson was in the original production of Oliver, Stop the world I want to get off, Stephen D and the Joan Littlewood production of What a crazy world. He then spent three years at the Central School of Drama, did repertory seasons at Leicester, Lincoln and Stoke-on-Trent and has just finished the controversial Ogodiveleftthegason at the Royal Court. 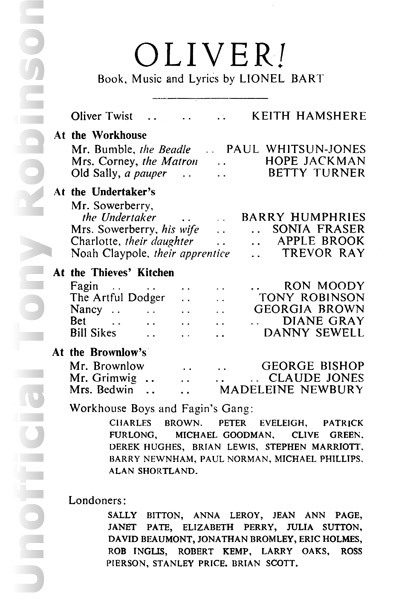 First performed 12th September 1968: Tony cast as Nimming Ned. 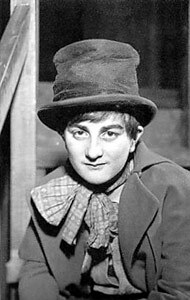 Tony Robinson trained at the Central School of Speech and Drama, appeared as the Artful Dodger in the original cast of OLIVER when a boy actor. 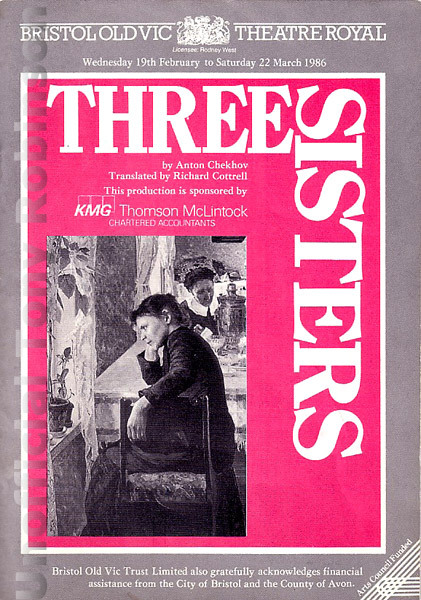 In 1968 he was awarded an Arts Council Directors Bursary and spent 18 months as Assistant Director and then Associate Director at the Midlands Art Centre. 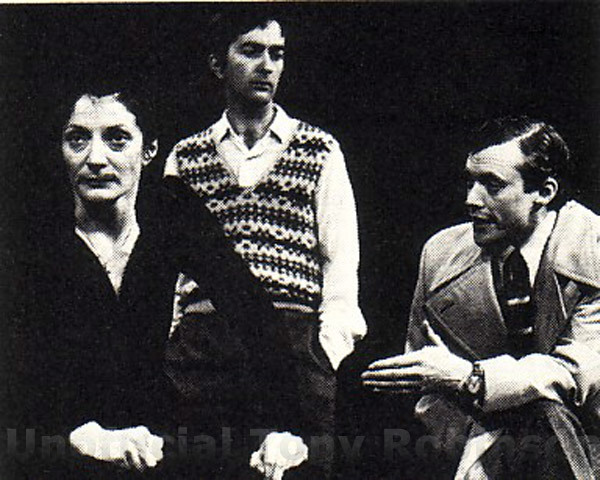 Most recently he appeared at the Royal Court Theatre Upstairs in THE SPORT OF MY MAD MOTHER. 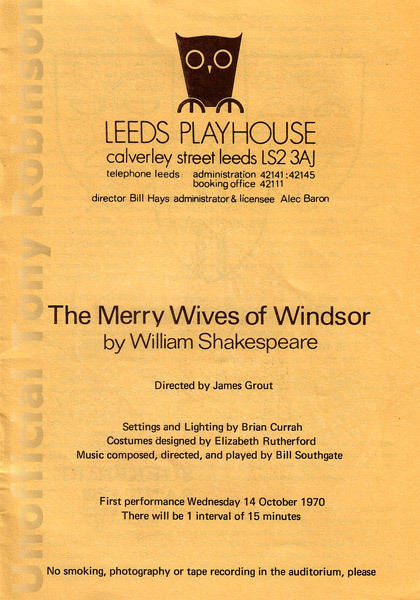 The Merry Wives of Windsor by William Shakespeare at Leeds Playhouse. 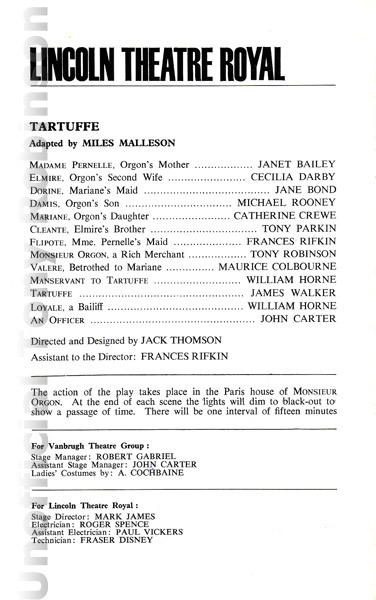 First performance Wednesday 14th Ocotber 1970. 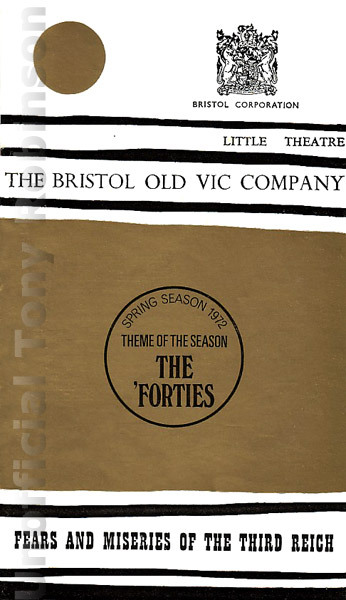 Little Murders: The Bristol Old Vic Company. 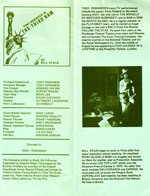 Little Theatre. Wednesday 20th October 1971 for 3 weeks. Littlechap Jnr, Queens Theatre / Stephen D - Thunder, St Martins Theatre / Ohgodiveleftthegason - schoolboy, Royal court / Baked Beans and caviare - Theatre Royal Windsor / The Rivals - Bob Acres, Lyceum Theatre Edinburgh / The Beggars Opera-Prospect productions / Pinocchio - Pinocchio, Belgrave theatre Coventry / The Sport of my mad mother - Theatre Upstairs / The abdication - Bristol Old Vic / Little Murders - Bristol Old Vic and has played seasons of leading roles with Leeds, Leicester, Lincoln, Stoke-on-trent and Bristol Old Vic theatres. His films include: Wheres theres a will-Tony / I could go on singing-Poet / Darwin adventure for Jo Strick on television / The man from the moors -Stubbs BBC / A century of chance(series) - several roles BBC / Scene-Mates BBC schools / Sam in playschool series Words and Pictures BBC / Doctor at large LWT. 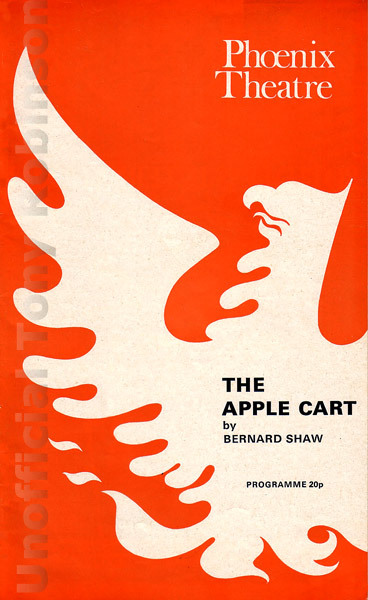 The Rivals by Richard Brinsley Sheridan, Harrogate theatre, Wednesday 31st October to Saturday 17th November 1973. 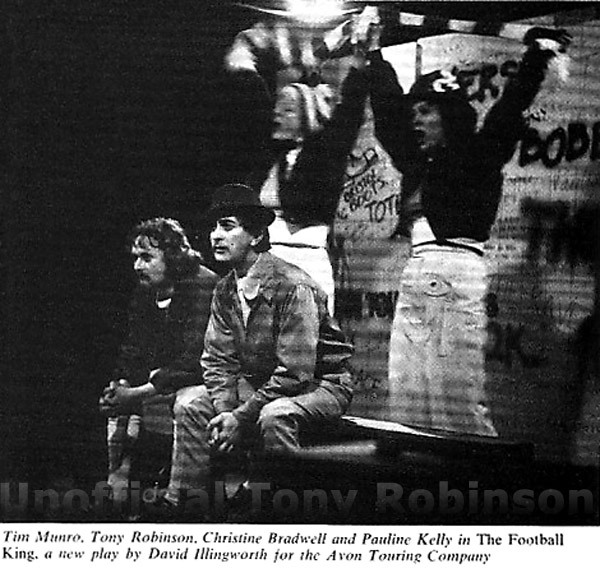 The football king: Avon Touring Company: The play explores the financial and human realities behind the Saturday afternoon quest for goals and promotion to the first division, out comes a tale of seedy wheeler dealing, in which the players are treated like commodities while there personal lives slip steadily down the league table. 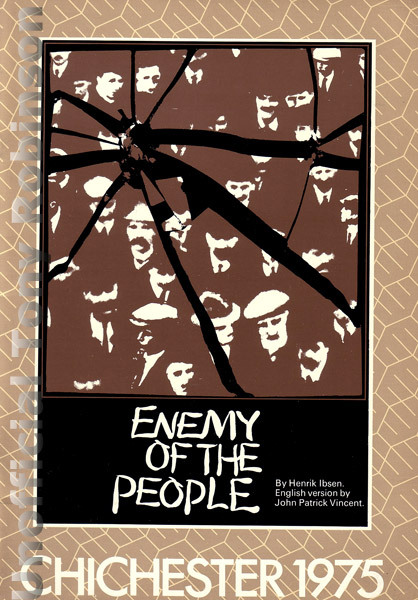 Enemy of the people: Chichester 1975: May to July: Chichester Festival theatre. 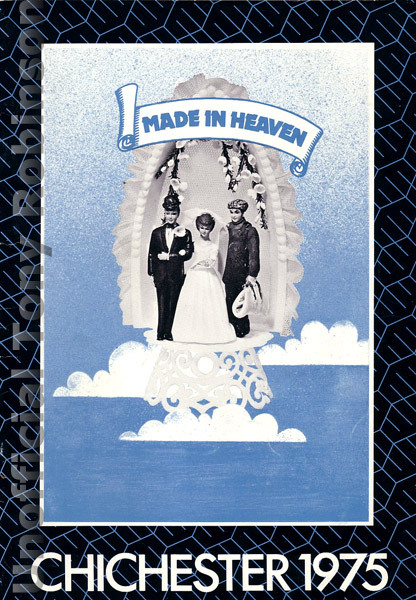 Made in Heaven: Chichester 1975: July to September: Chichester festival Theatre. 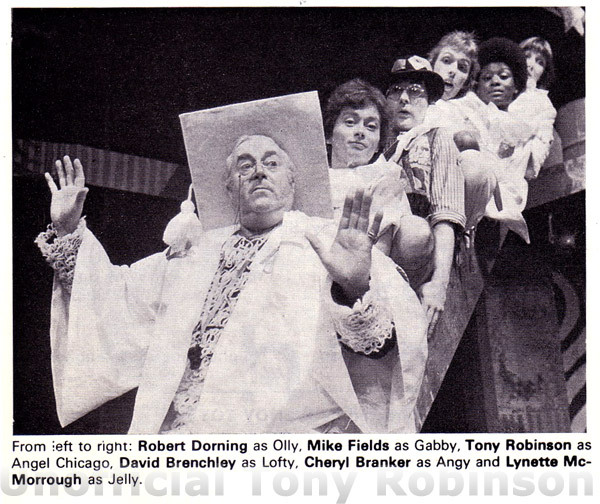 Tony cast as the Children. 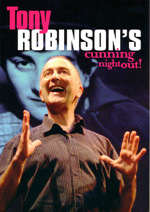 Tony Robinson: Recently appointed Production Associate of Chichesters young company of artists, New Ventures, he made his professional stage appearance at the age of 12, when he played one of Fagins gang in the original production of Oliver- later he took over the role of The Artful Dodger. 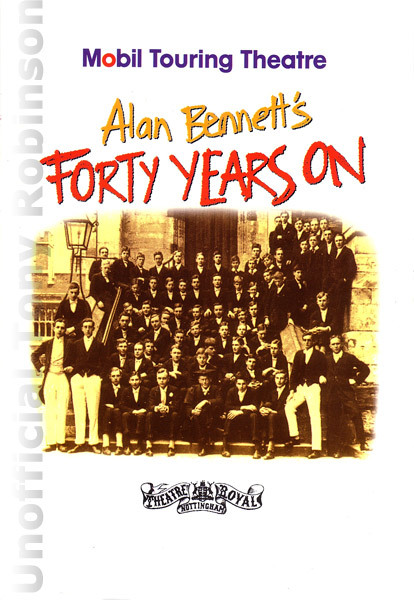 During the following five years he appeared in a number of West Ends shows, in films and on television until at the age of 17 he enrolled at the Central School of Speech and Drama. On leaving Drama School he spent four years in repertory before winning an Arts Council bursary to work as a director at the Midlands Arts Theatre in Birmingham. With writer David Illingworth, he founded the successful Avon Touring Company, Bristols community theatre company. On television he has been seen as Ernie Roberts in the award winning Horizon documentary Joey and in the title role in the BBC production of The Miracle of Brother Humphrey. 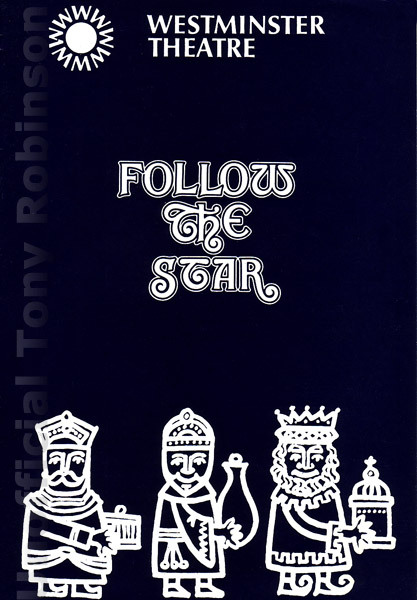 He was first seen at Chichester Festival Theatre as Angel Chicago in the 1974 / 75 season of the Nativity musical Follow the Star, which he repeated when the play was staged in London at the Westminster Theatre. After playing with John Wayne in the film Brannigan he returned to Chichester where his brilliant performance as Hovstad in Ibsens An enemy of the People in the 1975 season was universally acclaimed. Last season he appeared as Feste in Twelfth Night and played opposite Rex Harrison as the cringing accountant Majorin in Monsieur Perrichons Travels. Since then he has been seen in the BBC Bristol television series Krek Bristle. 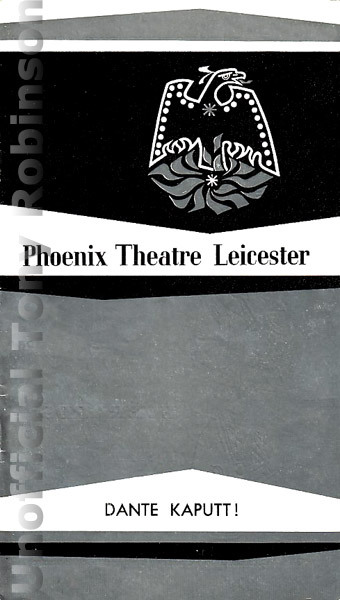 First performed at the Phoenix Theatre London. 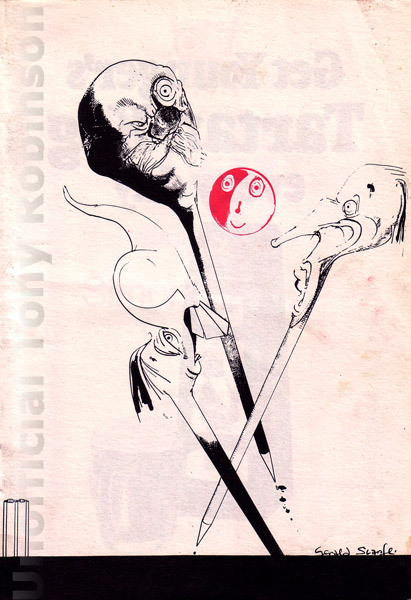 Monday 7th November 1977(a Chichester Festival Theatre production) Tony played: Nicobar, the foreign Secretary. 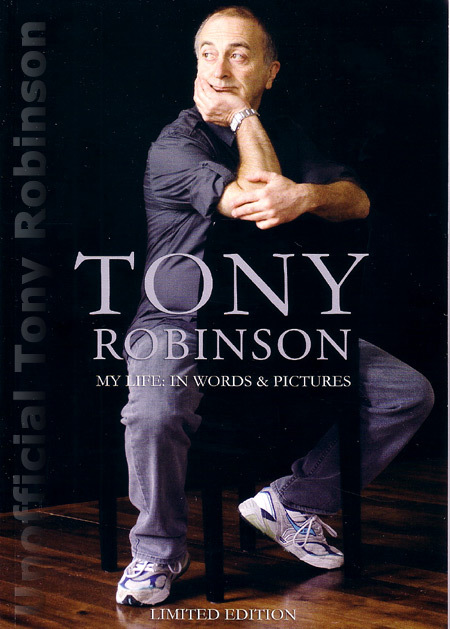 Tony Robinson: seasons with Bristol Leeds Stoke on Trent, Leicester. Resident Director of Midland Arts Theatre. 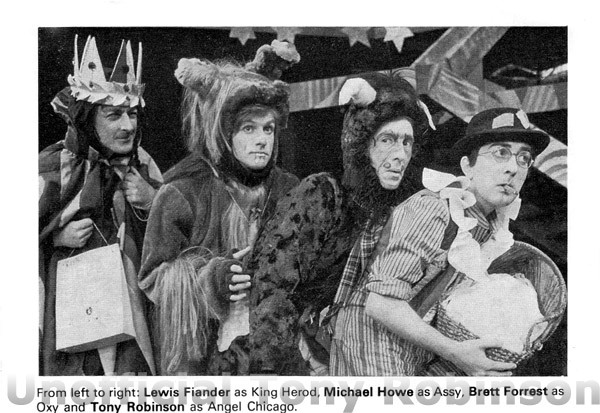 Bob Acres in The Rivals, title role in Pinocchio, Little Hopping Robin, Private Life of the Master Race, Volpone, Angel Chicago, Hovstad in Enemy of the People, the child in Made in Heaven, Feste in Twelfth night, Marjorin in Monsieur Perrichons Travels( Repertory). 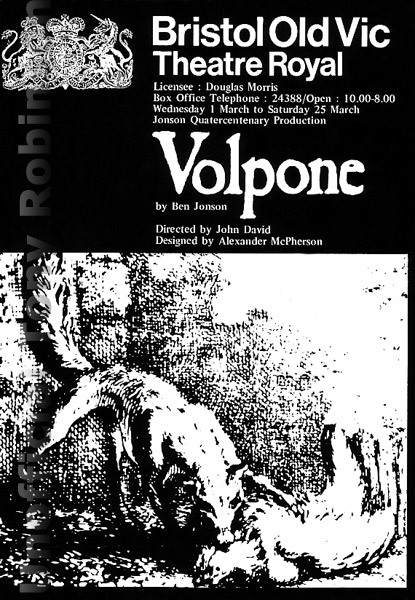 Appointed New Ventures Production associates at Chichester Festival Theatre in 1977. Television: Sam, Doctor at large, satyros, little big time, Black and Blue, The E for environment, Manhunt, Horizon-Joey, The Miracle of Brother Humphrey, Smokescreen, Rag Trade, Dorans Box, Playaway, Krek Bristle. 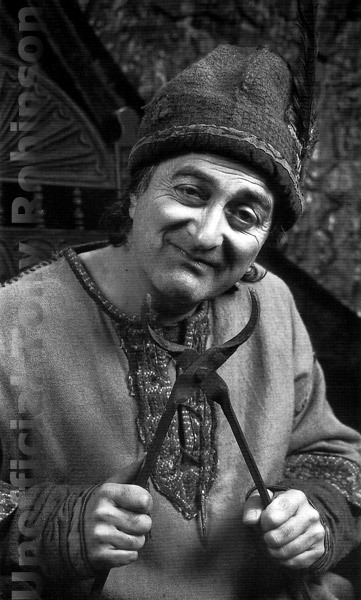 Tony Robinsons many TV performances include the spastic Ernie Roberts in the award winning Joey, the title role in The Miracle of Brother Humphrey, as Sam in Sam on Boffs Island. He is a regular member of the Playaway team, and he starred as Angel Chicago in last years BBC2 Christmas Eve Musical Follow the Star. 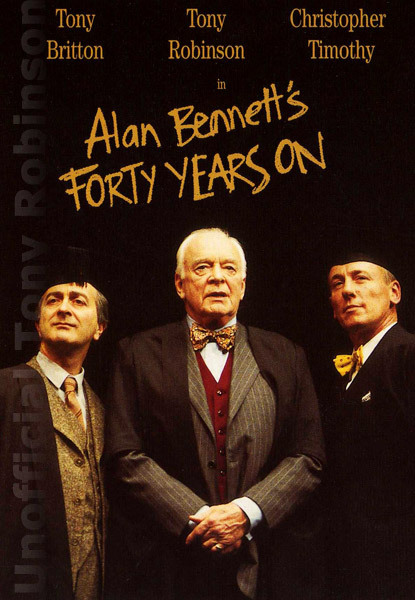 He spent four years at the Chichester Festival Theatre as an actor and director, and co-founded the Avon Touring Company. 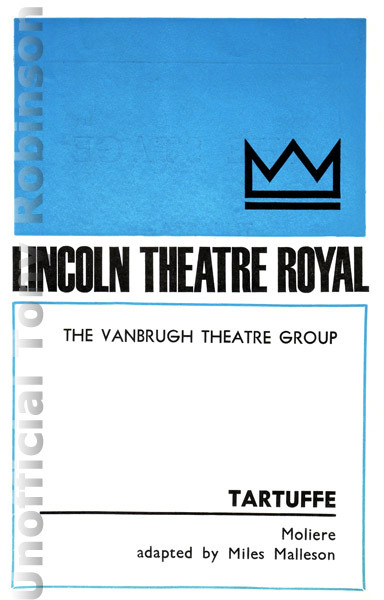 Has recently worked at the National Theatre, and for the Royal Shakespeare Company. 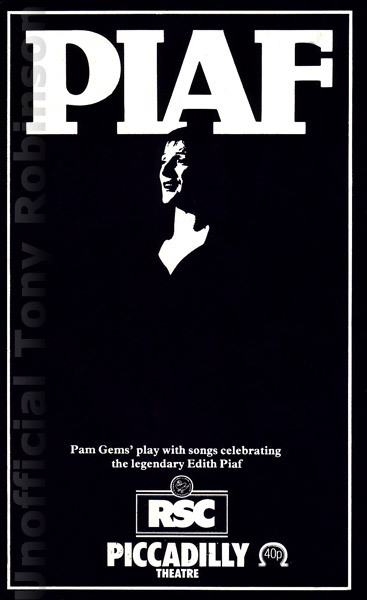 Until the middle of August he was appearing in PIAF and Once in a lifetime at the Piccadilly Theatre, London. 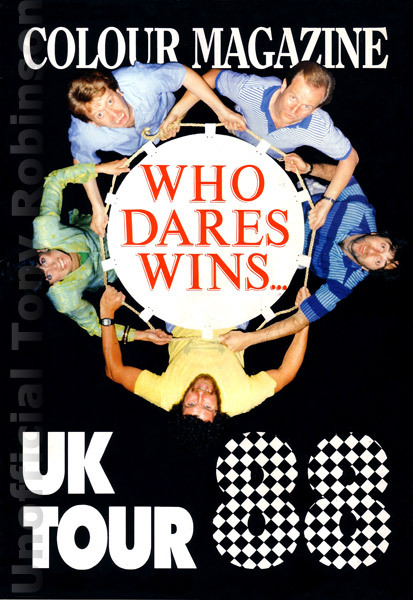 June 7th to July 10th 1988. 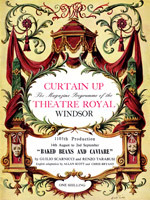 The programme has some very interesting pictures in it, both my ex boss and my sister- in -law saw the show and have commented on seeing Tony naked!!! Hail: Maid Marian and her Merry Men the Musical by Tony Robinson, Mark Billingham and David Lloyd. 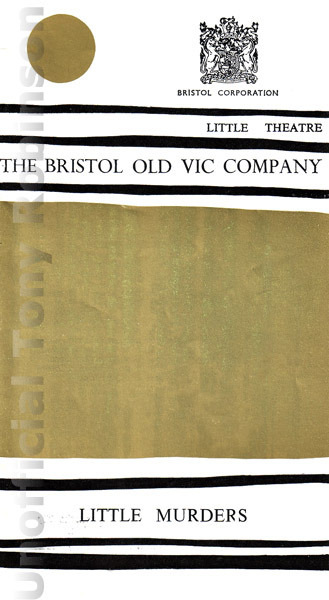 Bristol Old Vic April 1996. 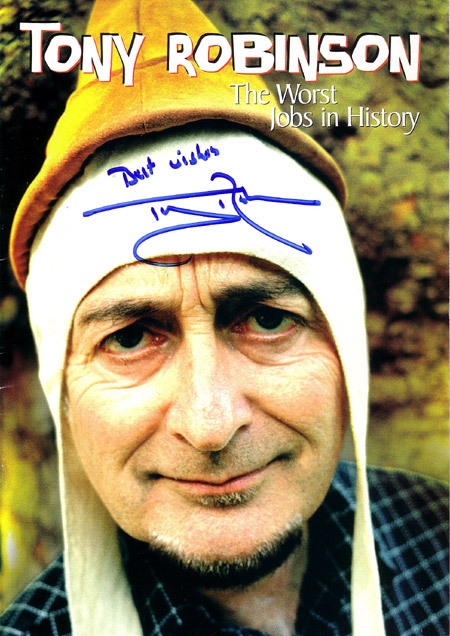 Tony Robinson played Mr MacMillan. Zeus looked down upon London. 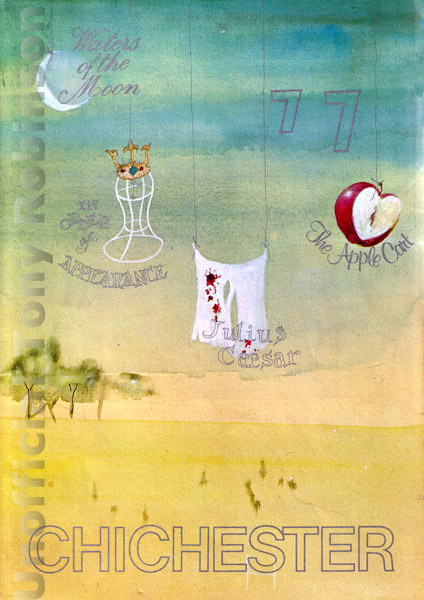 He beheld a young maiden named Phyllis Robinson, and she pleased his eye. Hmmm! She may be afeared, for I am a Great God, he thought, and donned the guise of a seller of milk and did visit her. 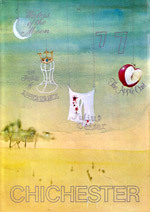 And her heart leapt at his crate of red-top, and he went in with her and they did dally together. And Lo! A child was born and his name was Tony Robinson, and he walked upon the earth and dug up antiques in a lively and entertaining fashion. 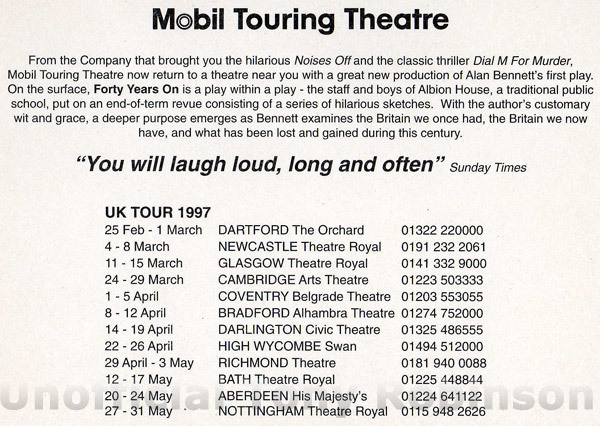 Alan Bennetts Forty years on: Mobil Touring Theatre 1997: Tony Played Tempest. 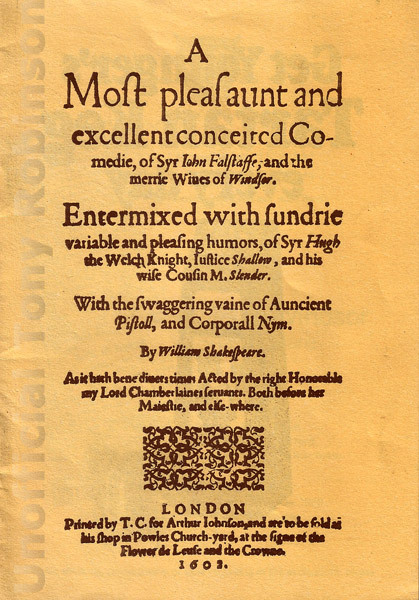 Tony Robinson played Baldrick in Blackadder, and the Sheriff of Nottingham in Maid Marian and Her Merry Men, which he also wrote. 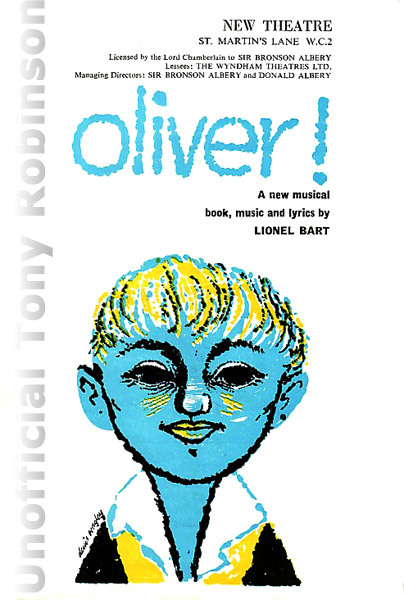 His first professional appearance was at the age of 12 in the original version of the stage musical Oliver! This was followed by a number of shows, films and TV appearances as a child actor. 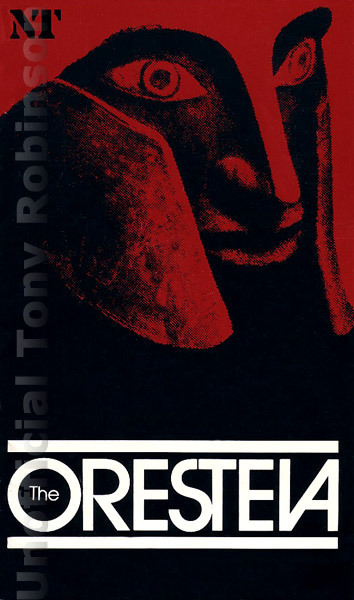 After training at the Central School of Speech and Drama, he spent several years in rep, and worked for two years as a theatre director before moving to the Chichester Festival Theatre, the RSC and the National Theatre. It was around this time that he made his first notable television appearance as the cerebral palsied Ernie Robert in Horizons award-winning documentary Joey. He has presented numerous television programmes including The Good Book Guide, Points of View, Hospital Watch and Stay Tooned, and has made several documentaries including three films in Africa for Comic Relief, and programmes on advertising, the history of animation and dung! He has also travelled round the Caribbean for BBC 2s Great Journeys. He has won numerous awards as a writer of childrens television programmes including two Royal Television Society awards, a BAFTA and the International Prix Jeunesse. 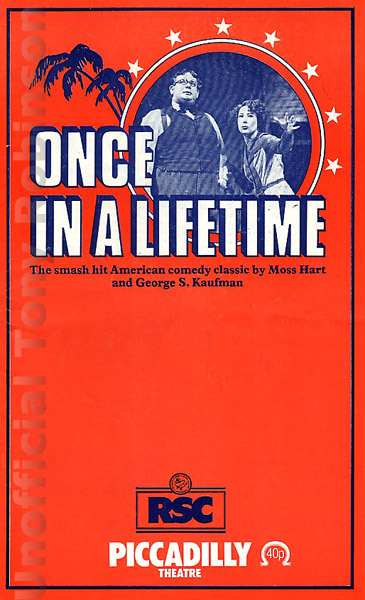 He wrote thirty episodes of Central TVs Fat Tulips Garden, a thirteen part BBC series based on Homers Iliad and Odyssey called Odysseus- the greatest hero of them all, four series of Maid Marian, and twenty six episodes of his Old Testament series Blood and Honey. He has written sixteen childrens books, and a cartoon strip version of Maid Marian which ran for a year in the Weekend Telegraph. Last year he completed an hour-long award winning drama for Central TV called Coach Trip to Calvary, a wildlife series for Survival entitled Wild about Essex and a comedy drama for Channel 4 called Holed. A sixth series of his archaeology programme Time Team is currently in preparation. He can now be seen on ITV in a new six-part comedy series by Simon Nye called My Wonderful Life. 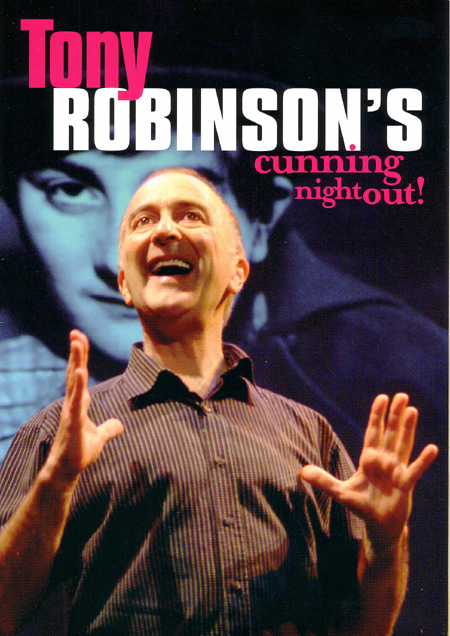 Cunning Night Out 2007: Tony Robinson My Life: In words and pictures. 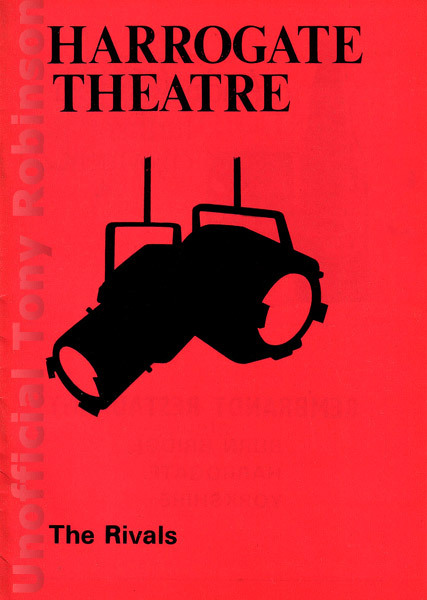 Instead of a normal theatre programme Tony produced a booklet about himself for his 2007 tour of Cunning Night out.